For women, establishing a room of one’s own within the realm of business leadership is about more than—to invoke Facebook COO Sheryl Sandberg’s oft-cited and arguably short-sighted mantra—a question of “leaning in.” Innovation requires vision in an arena where women are notoriously outnumbered by men. It also requires support. In Toronto, both can be found in spades. 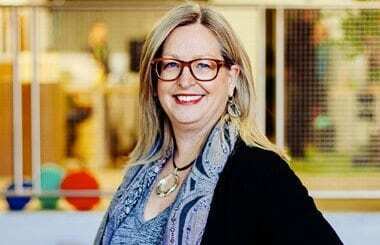 “I have found the tech community here to be very welcoming,” says Wendy MacKinnon Keith, who left a successful consulting career that spanned three major American cities to return to her hometown of Toronto, where she launched Digital Retail Apps in December 2013. The app, a digital wallet that’s compatible across phone models, banks, and mobile networks, was born of the simple revelation that while many people love to shop, few enjoy waiting in line for their payments to be processed. For shoppers and business owners alike, MacKinnon Keith sees her service (taglined “Scan. Pay. Go.”) as a small but vital conduit of daily liberation. “You have to have the vision and the passion for what you’re trying to do, but you also have to kind of hold your breath and be willing to almost reinvent yourself,” she says, chuckling to recall the reaction from her best friend, a former consulting colleague, at a recent women’s leadership summit. Wendy MacKinnon Keith, CEO & Founder, Digital Retail Apps. For those willing to take the plunge, resources like MaRS’ science, technology and social entrepreneur incubator and dedicated networking groups for women business leaders have helped to bring gender balance to Toronto’s CEO club. Joanna Griffiths, CEO of Knixwear, has been involved with MaRS since August 2013. Her company is not only woman-run but women-focused: an underwear line that wicks moisture, sparked by a conversation Griffiths had with her mother about the changes a woman’s body undergoes following childbirth and/or menopause. “I saw a gap in the market and an opportunity to make a product specifically designed with women and their needs in mind,” she recalls. She launched the business with the help of a crowdfunding campaign in May 2013. Griffiths’ instincts were correct: Hudson’s Bay would become the product’s first retailer. “I think men in general do a better job of championing their achievements,” she says, pointing to what might be a socially enforced distinction between genders. But she thinks there are plenty of opportunities for women to support each other in business. 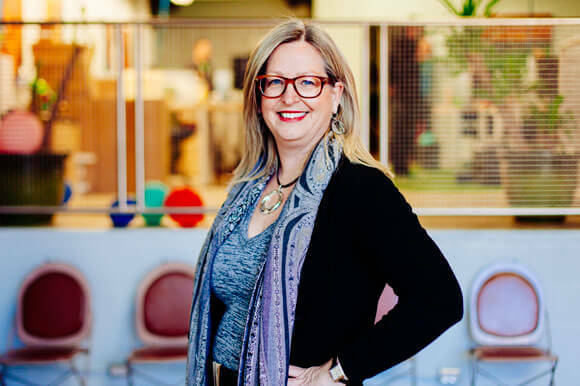 In addition to her involvement with MaRS, which recently held a female founder-run event, Griffiths is also a part of the female entrepreneurship group, Amazing Women Inspiring Action, based in Toronto. “It’s encouraging to hear about another female entrepreneur who’s doing well and having successes,” Griffiths says, adding that the resources for innovative women are more abundant than one might think. In Toronto, there’s the Women’s Business Club, countless meetups, Making Sh*t Happen, and the Canadian Association of Women Executives and Entrepreneurs, to name a few examples. Still, there’s plenty of room for improvement. “When you’re at a conference for tech people or a gathering of tech CEOs, you’re surrounded by men,” says Lisa Crossley, CEO at VitalHub, a unified database that allows patient information to be shared securely, between clinicians, via mobile device or web browser. Nevertheless, LaRiviere holds hope for the future. She’s observed that there are more female CEOs in Canada, and throughout North America, than there were 10 or even five years ago. There’s also peer support for women looking to lead, with an ever-expanding cabal of organizations helmed by and for women to discuss issues related to business innovation. Story by Kelli Korducki. Photos by Tanja-Tiziana.